Arthur knew that I was looking for one of these for a conversion instrument and when he came into possession of a rim and resonator, he gave me a call. He also had a generic flange that was a good fit and I supplied the tension hoop, arm rest, and Presto ‘windows’ pre-war tail piece. 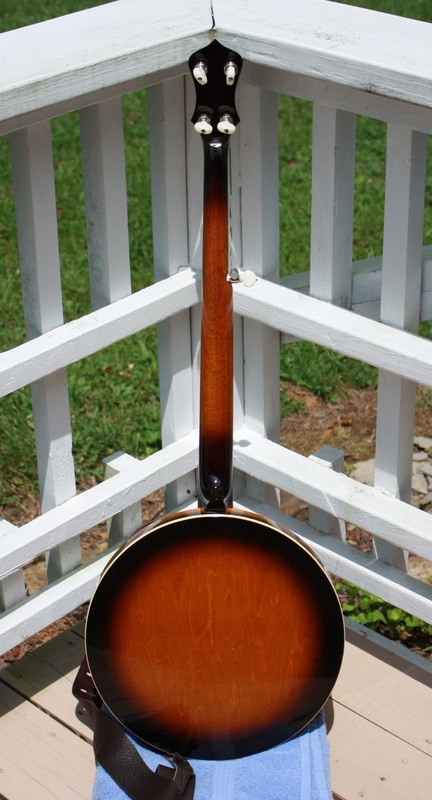 We decided on a simple neck style – in this case a coke-bottle shaped peg head style 1 mahogany neck with ‘dots’ inlay on a rosewood finger board. To complete the banjo, we added a Sullivan archtop to flathead conversion tone ring that would have a flat foot print on the thin rim. I knew this combination worked well because I had used it on the very similar Kalamazoo conversion. Click on the following link to view an original ‘coke bottle’ peg head shape used as the inspiration for this neck. The banjo turned out as planned – easy to play and great tone. I look forward to many hours of pleasure picking this instrument. 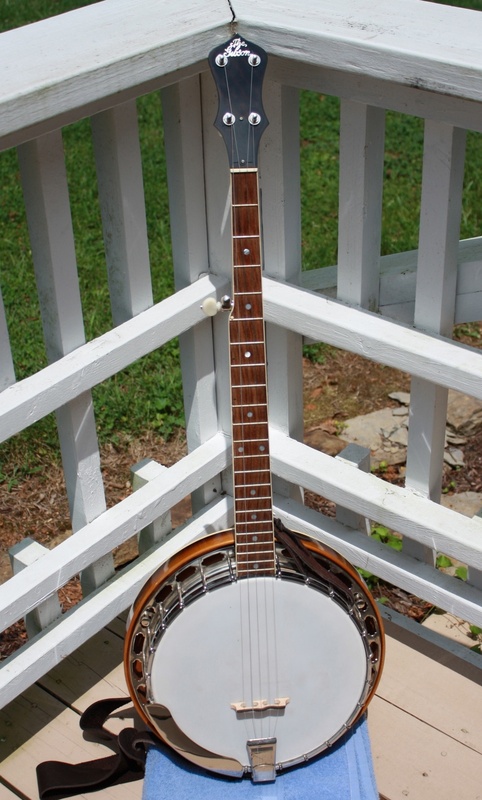 $ (Inquire for price) This Banjo is no longer available on this website.